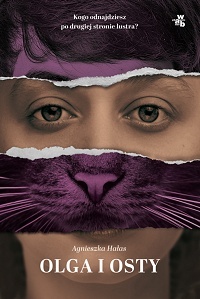 Author site of Agnieszka Halas, bilingual Polish writer and translator. Seven months have flown by in no time, so I'm back with another irregular update. My life has been busy and interesting lately. Right now I'm focusing mostly on writing in Polish, while the plans to branch out into English have temporarily taken a back seat since so much is happening on the home front. 1. 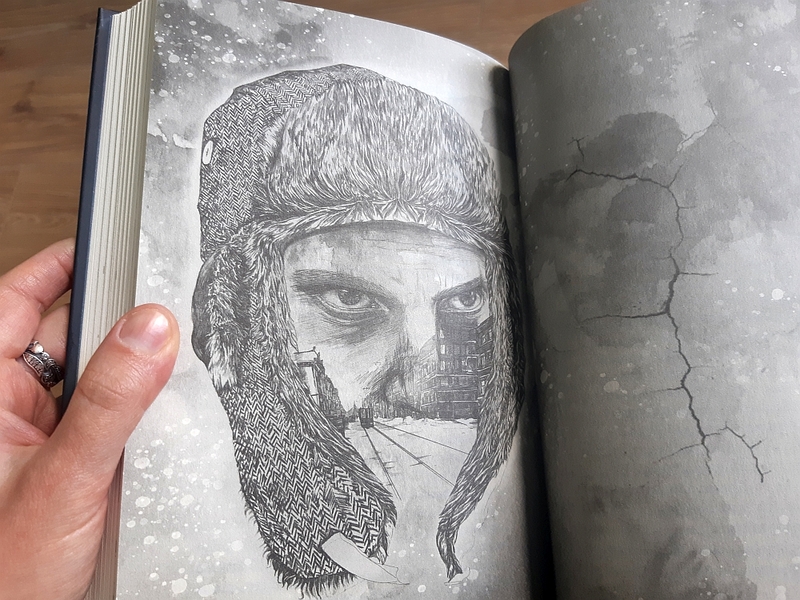 After five months of hard work, and many struggles with paralyzing self-doubt and writer's block, a month and a half ago I managed to complete book 4 of the Teatr węży [Darkgleam] series, entitled Śpiew potępionych [The Song of the Damned]. I'm insanely relieved that it's finally written! 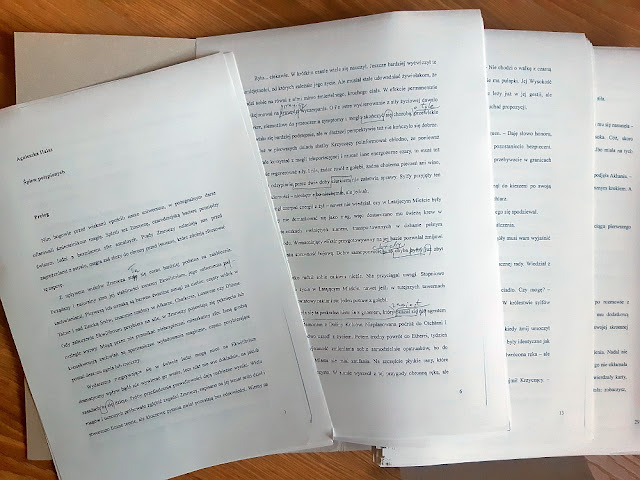 The book is now undergoing the final round of editing (I'm making the last small tweaks and corrections) and will appear in print in 2019, perhaps as early as June. 2. 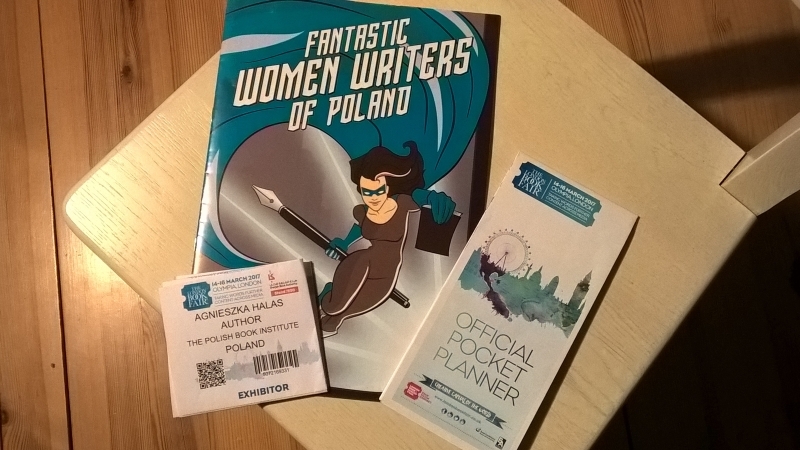 Two years ago, I became one of the founding members of an all-female group of Polish speculative fiction authors known as Harda Horda or in English as Fantastic Women Writers of Poland. Briefly, we're a group of professional and semi-professional writers who banded together in order to be more visible on the Polish book market, and to challenge some of the stereotypes about female fiction. Most of us write sf/f/h, but some have successfully branched out into unrelated genres such as crime fiction, or even moved out of genre fiction into mainstream fiction. As a part of our promotional efforts, last year we penned an anthology of 12 stories (one by each member), and this anthology has recently been published by Wydawnictwo SQN, a fairly large Polish publisher based in Cracow. 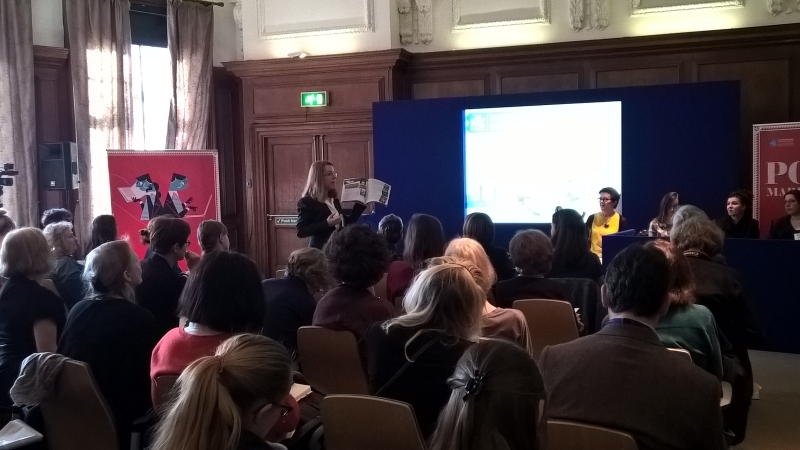 The book is a deluxe, hardcover, illustrated edition, it looks wonderful and is attracting lots of positive attention. We're very happy and proud! 3. 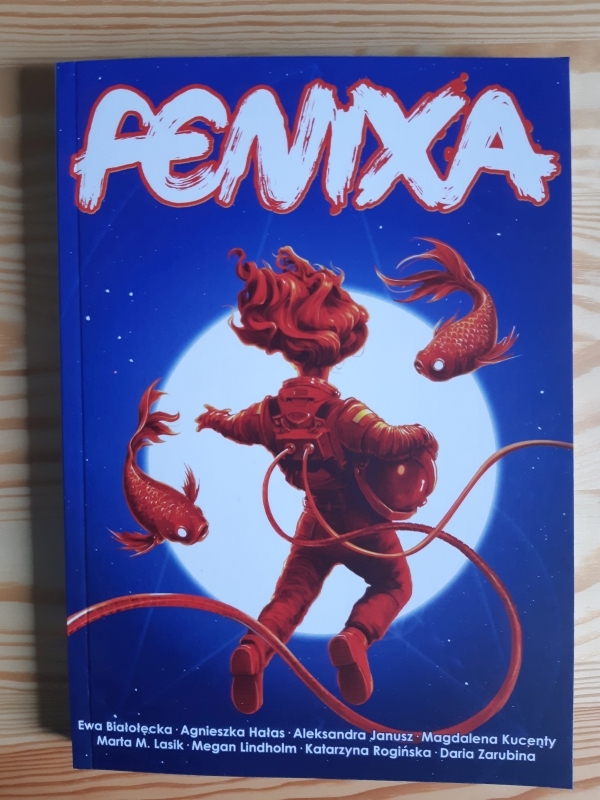 A different, but also all-female team has put together a more low-profile, but equally high-quality project: Fenixa, a special issue of the Fenix: Antologia zine. 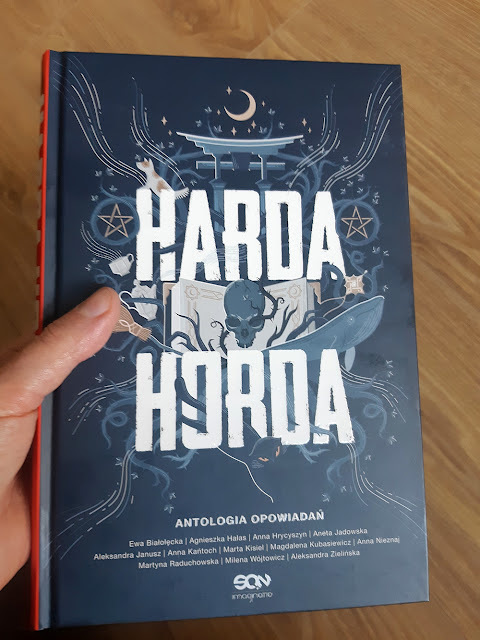 All the featured stories and all but one of the articles were written by women, and the cover artwork was also done by a female artist (you may be interested to know that the cover artwork and illustrations for the Harda Horda anthology are the work of female artists as well). 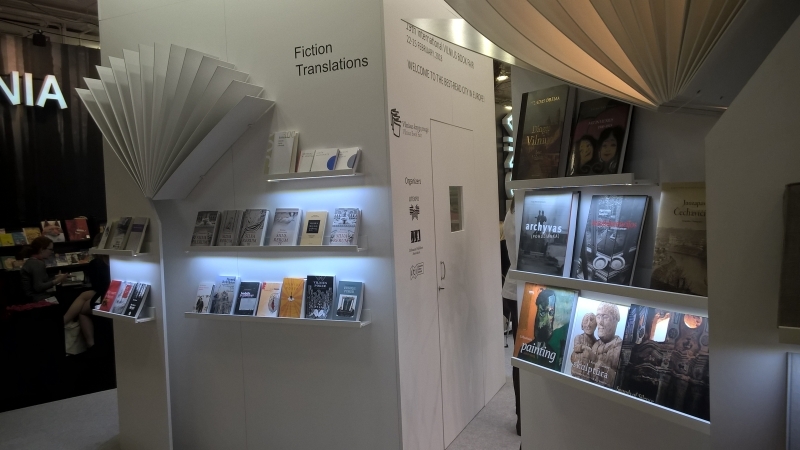 Notably, Fenixa features two foreign novellettes, and one of them is Silver Lady and the Fortyish Man by Megan Lindholm, translated by yours truly. 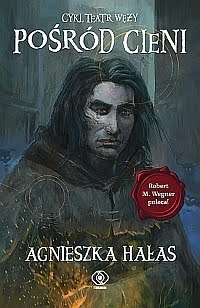 I wanted to translate this story into Polish ever since I first read it in the late '90s! 4. I've recently had the pleasure of translating two other beautiful stories into Polish: The Dala Horse by Michael Swanwick and The Martian Obelisk by Linda Nagata. Both are awaiting publication in the Nowa Fantastyka magazine. 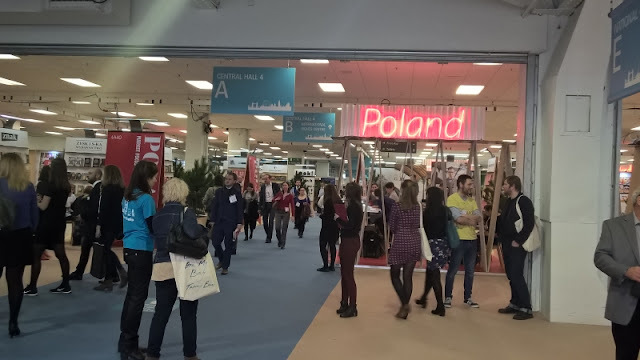 This year, I ended up missing the London Book Fair once again for various reasons, but I'll probably spend a significant amount of time at Polish book fairs in the second half of the year. I also have all sorts of plans for the future that need more thought and more work. I will return here from time to time to inform about anything that comes up. - The three first volumes of my Teatr węży [Darkgleam] series have been re-released in 2017 and 2018 by Wydawnictwo Rebis, one of the largest Polish publishers. Some people love the new covers and some people hate them, whereas my opinion is... kinda neutral? Anyway, I'm working on the fourth book now! - My short story Returning to the Garden has recently appeared online in Longshot Island zine. It's possibly the oddest bit of prose I've ever penned (I'm normally not into experimental prose), a story about the famous wooden statue of Mary that survived the Nagasaki nuclear blast. 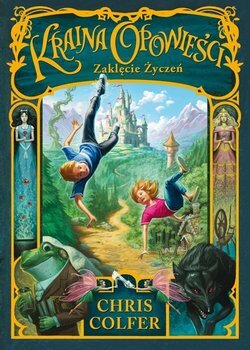 - Last year, I had the pleasure of translating Chris Colfer's YA novel The Wishing Spell (volume I of the Land of Stories series) into Polish; the translation will be published in October 2018 by Papierowy Księżyc. 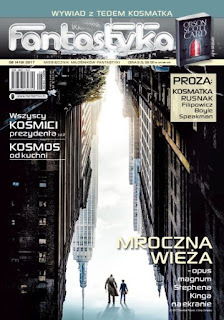 Two stories of mine (the novelette Czarne i czarniejsze and the short story Pod skórą) have also appeared in print in Polish in recent months, while another story is awaiting publication. All in all, not a bad year. I didn't visit the London Book Fair in 2018, but I'll probably travel to the 2019 edition. It's definitely something I'm looking forward to! I'm back after a loooong break! Things change, and I tend to just go with the flow. Seven months ago, in January, I had a general idea of what I wanted to do and accomplish in 2017. Well, that plan has already undergone 180-degree changes twice. And yes, I freely admit that, for good or bad, I'm not the type of person who decides to run a marathon, and then proceeds to train for a year or two, come rain or shine. 2017 is being a very exciting year. I've been shortlisted for the Janusz A. Zajdel Award (for a novellette) and for the Jerzy Żuławski Literary Award (for The Thistle Queen). 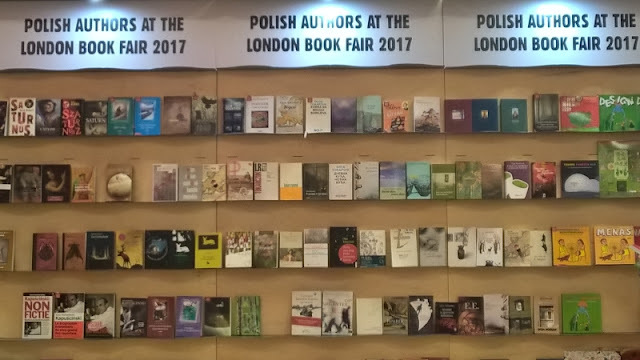 I've been to the London Book Fair in March and to the Warsaw Book Fair in May. I got invited as a guest to a lovely convention in Wrocław in July (where I had the chance to talk to Angus Watson and Brian McClellan). I plan to attend three more conventions in Poland (one in Toruń and two in my hometown) before winter comes. I'm also translating fairly intensively. On the other hand, my writing is lagging badly. In January, I'd planned to take an extended break from translations, perhaps even until the end of 2017, and WRITE (I magically become a productive writer when I slash other commitments that involve deadlines). 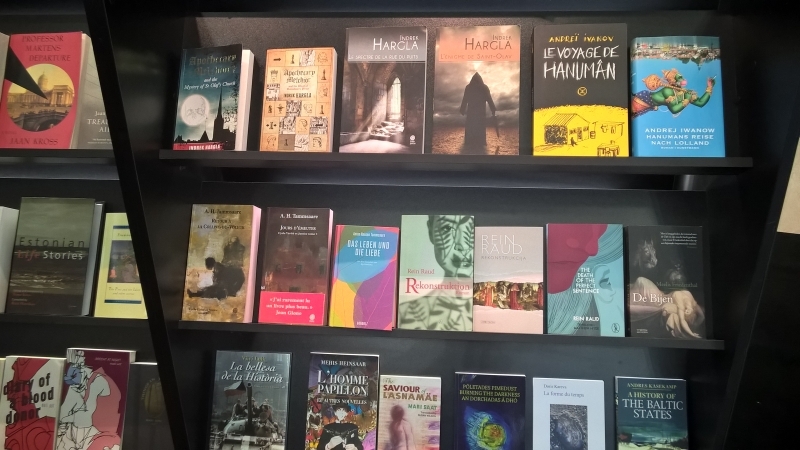 And write I did... except that February and March were spent maniacally translating stuff into English (samples of my own writing and that of other authors) and proofreading samples prepared by other translators. Lots of pure, 100-percent effort (unpaid, non-profit, kinda crazy) put into an initiative that might bear fruit or not. For now, I've set that particular flowerpot aside, and if something grows there, I'll be jubilant. If not... oh well, I've handled bigger disappointments. In June, I changed my mind about focusing on writing, accepted some translation and editing jobs that came my way, and decided to temporarily shelve yet another partly written novel that wasn't meeting my internal quality control standards. I'll come back to it someday. After meeting one deadline after another in June and July (everything somehow got finished on time, and I can proudly add T. Coraghessan Boyle's "The Relive Box" and Carrie Vaughn's "Game of Chance", two brilliant short stories, to the list of texts I've translated into Polish; Boyle's story has just recently appeared in the magazine pictured at right), I'm more than halfway through the last translation project, a YA fantasy novel, and have decided to at least update my blogs. 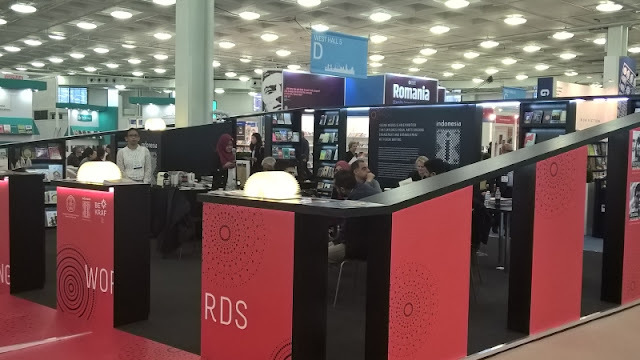 I have a number of writing projects, four short ones and one long to be exact, outlined and waiting to be written... and a sensible schedule needs to get worked out before I can seriously tackle them. 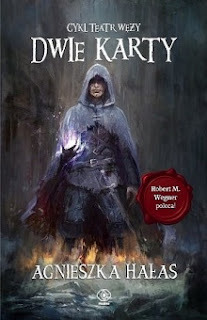 Meanwhile, the first volume of my Darkgleam series, Dwie karty [Two cards], first released in 2011, will soon be reprinted by the large Polish publishing house Rebis. The planned release date is September 2017. I had my doubts about the new cover, but the longer I look at it, the better I like it! A writer’s life involves lots of waiting. Waiting for submissions to be either accepted or rejected (so that you can submit them somewhere else, and then the waiting cycle begins again). Waiting for accepted stories to appear in print or online. Waiting for the launch of your new book. Waiting for reviews. Waiting for the sales statistics. Waiting to get paid. Over the past few weeks, I’ve received three rejection letters (and promptly resent the rejected material elsewhere; I’m very, very serious about trying to get my translated stories “out there”). 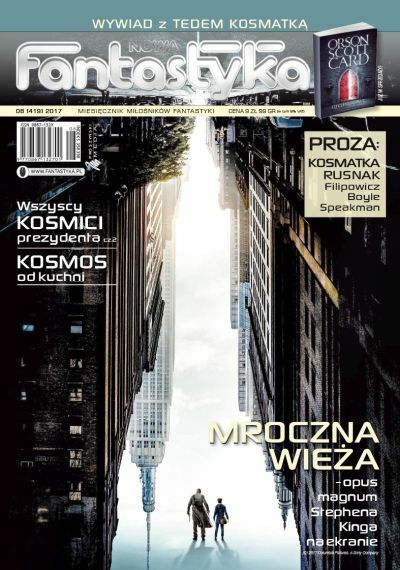 A short story of mine has recently appeared in the April issue of the Polish speculative fiction magazine Nowa Fantastyka. I’m waiting for news about other submissions. I’ve steeled myself for a long wait (in one case, the decision will probably come in October). 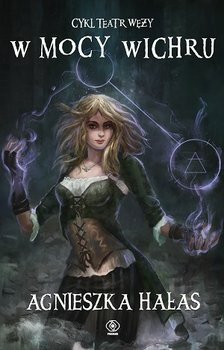 Meanwhile, there’s nothing for it but to keep writing (I’m working on a new novel in Polish – the first three chapters are almost finished, yay) and keep slowly translating “The Thistle Queen”. With Hans the troll’s permission, I’ve temporarily suspended the “read every day” part of my New Year’s resolutions because reading every day seems to interfere with my writing (it impairs my ability to write in my own voice) when I’m working steadily on a WIP, rather than just experimenting and pottering about. I’ve also come to a point where other things besides writing need some serious thought. Right at the beginning of April, I briefly came down with a nasty virus (either a norovirus or something similar). I didn’t vomit, but had fever, nausea and other unpleasant symptoms, was unable to eat for over 50 hours, narrowly avoided dehydration (now I know that when you start getting weak & dizzy every time you stand up, postural hypotension has kicked in and it’s time to get serious about drinking that yucky-tasting oral rehydration mixture) and had ample time to rethink my lifestyle while I was lying in a darkened room with a splitting headache on the second day. Apart from the occasional cold, I very rarely get ill, so I'm treating this as a wake-up call. Living my life mostly in front of a computer screen isn’t doing me any favors. Now, my No. 1 plan for spring is to spend more time outdoors, eat more veggies and eggs (I’m the kind of thin, underweight, not-crazy-about-eating person who will subsist on sandwiches and cornflakes if unmotivated) and get healthier. One of my New Year's resolutions for 2017 was to "exercise or go for a walk every day" (I'm managing to stick to it for about 20 days each month... not a shining success, but not a total failure either). It was a step in the right direction, but it's not enough. I'm not in bad shape but I was fitter two years ago. Hans the troll says he’ll try to find a way to persuade me to start running. And as for the waiting... the best cure for impatience is to get distracted by something else, so I’m going to do my best to submit some more material here and there in the coming months (both in Polish and in English). 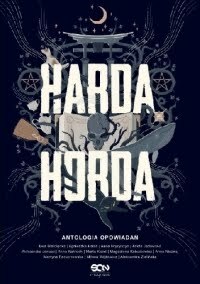 A novelette I wrote in Polish in December has been waiting until now to get edited and partly rewritten (it needs a different ending). I’m looking forward to sitting down to it over the Easter holidays! Whoa! Time flies really fast when important things are happening. I’ve been busy lately! 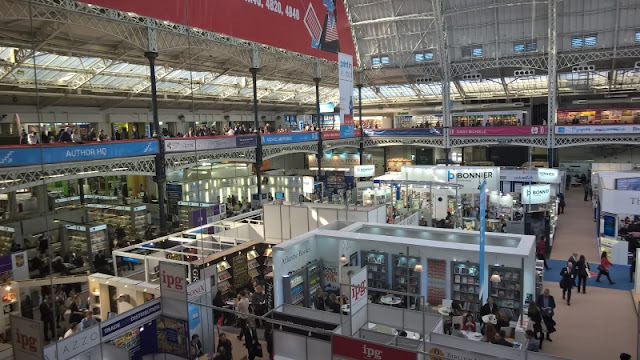 We took an early morning flight to London on Tuesday, March 14, arrived at the Olympia exhibition center on Hammersmith Road somewhere around noon, stayed there until closing time, and spent all of March 15 at the Olympia as well. On March 16, we only had time for some quick shopping in London before noon, so as not to miss our return flight from London Luton at 14:35. 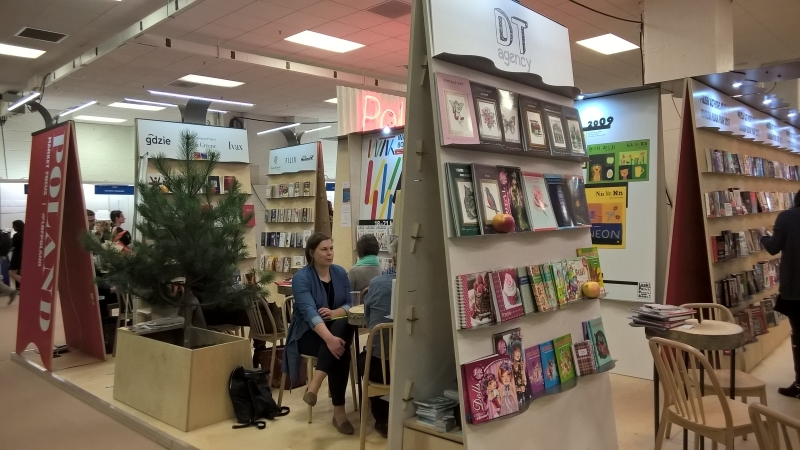 The trip was rather exhausting, especially for me (on March 13, I had to take an evening train to Warsaw and spend the entire night at the Chopin Airport), but the experience was absolutely worth it! 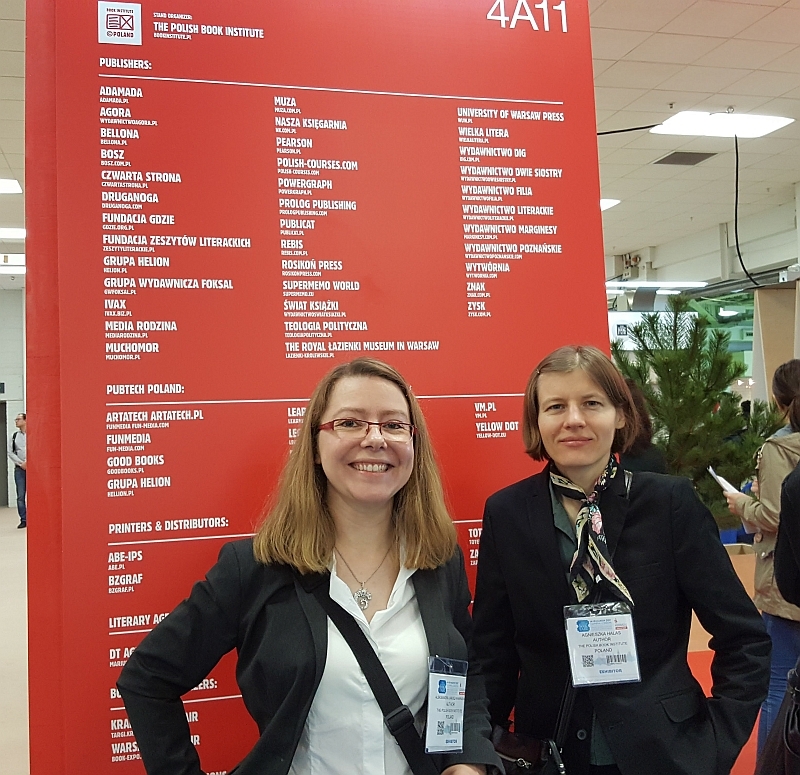 In the photo above, Aleksandra is the professional-looking lady on the left, and I’m the one with the patterned kerchief. Below is a handful of other photos taken during the fair. The Olympia exhibition center (centre, actually, since it's located in the UK...), with its two large galleries, was a maze of pavilions, stands and colorful signs. Even with a map, we felt a bit disoriented at first. The Polish pavilion looked quite impressive, with red neon signs, little pine trees, and light-colored plywood bookshelves showcasing recent titles from numerous large and medium-sized publishing houses (Nasza Księgarnia, Zysk, Grupa Wydawnicza Foksal, Znak, Muza, Agora, Rebis, Powergraph and others). 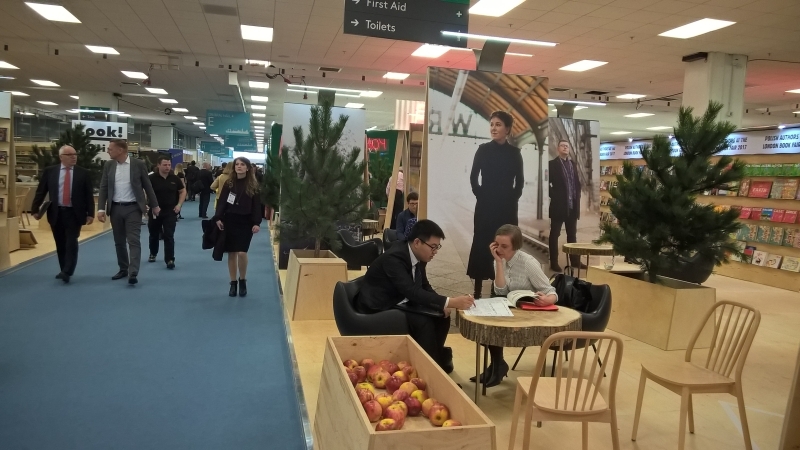 In a stroke of genius, someone decided to use Polish apples as a marketing gimmick at the LBF. Yes, you read that right. Apples. Big, juicy, sweet apples from Polish orchards, much tastier than your typical supermarket-bought Granny Smith or Gala. Since the sandwiches, doughnuts, packaged salads etc. available at the Olympia were expensive, lots of people (myself included) decided a free apple isn't to be sneezed at! 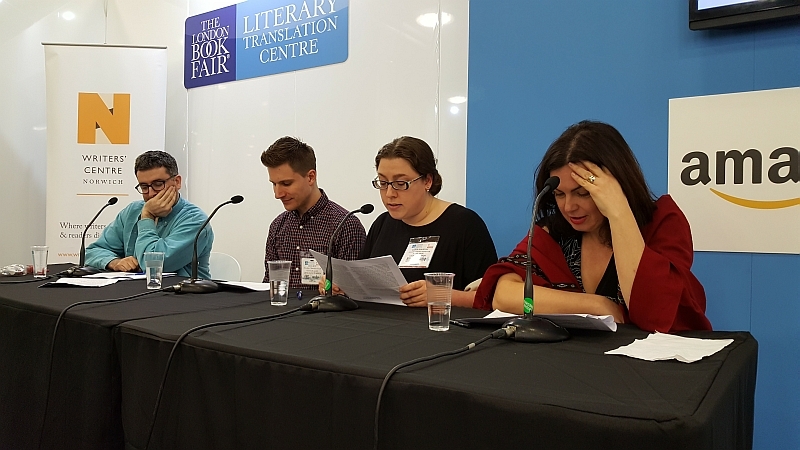 Polish-to-English translation slam on Tuesday, March 14, featuring American translator Sean Bye, Polish translator Marta Dziurosz, and Polish journalist Ewa Winnicka. 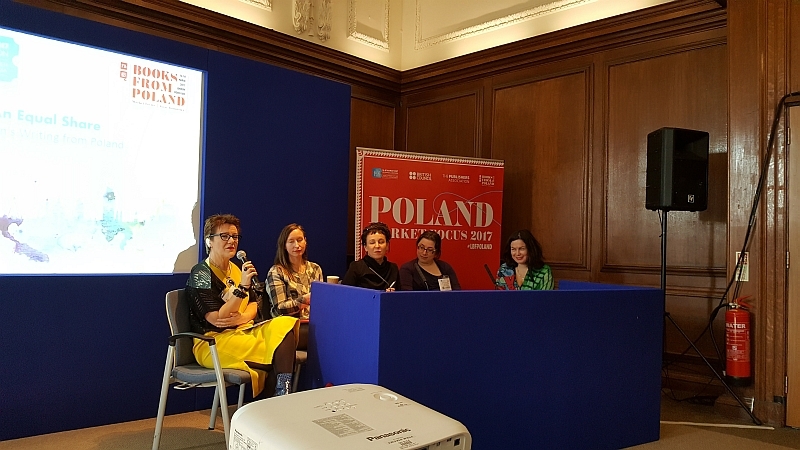 On Wednesday, March 15, the panel discussion An Equal Share - Women's Writing from Poland chaired by Rosie Goldsmith from the European Literature Network drew quite a crowd (albeit the listeners were mostly women, which kinda shows how interested men are in women's writing...) One of the panelists was the famous Polish novelist Olga Tokarczuk. 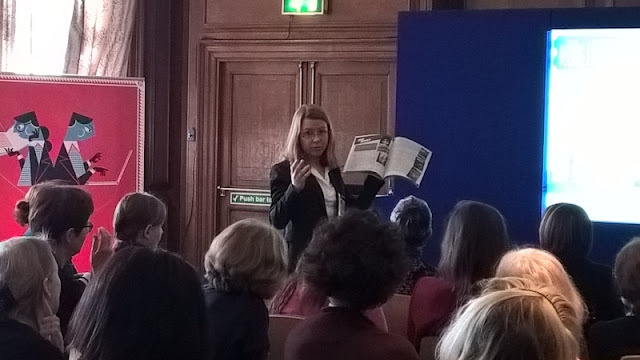 At the end of that panel discussion, Aleksandra stood up, briefly described our group and our aims, showed our catalogue, and got some enthusiastic applause! 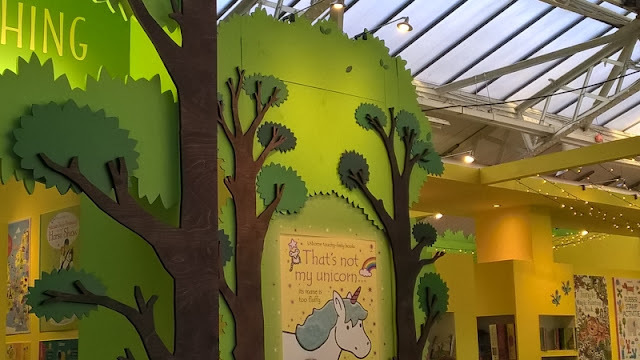 Below are some more miscellaneous scenes, stands and books I photographed during the fair. Did I mention I enjoyed being there? I did. 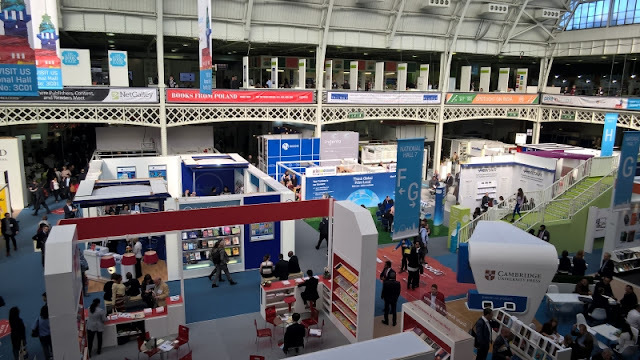 It was an exciting new experience, an adventure of sorts (I'd never visited London before), as well as a chance to strike up some contacts and gather valuable information about various initiatives involving literature and translations. I hope to participate again next year! 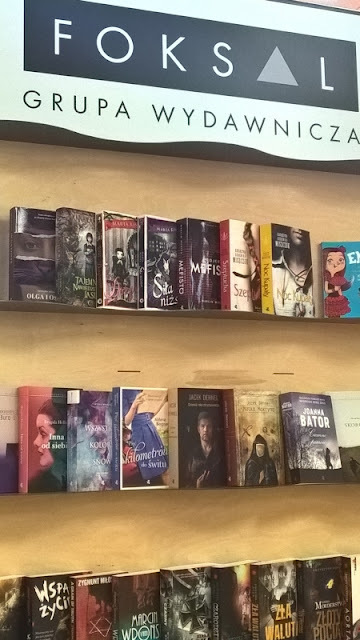 *) The ultimate goal of the Fantastic Women Writers of Poland group is to find publishers interested in acquiring the foreign language rights to our books. 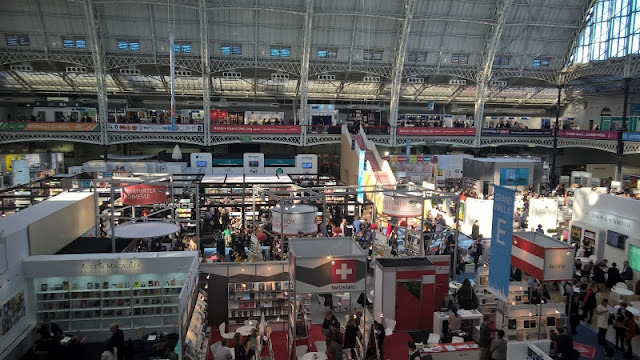 Some of us are bestselling authors in our home country, and/or have won numerous awards. Speculative fiction is a largely overlooked/undervalued niche in Poland, and female authors form a still smaller niche within that niche, but we’re determined to change that, and hopefully we will! Life doesn't always give you lemons; sometimes it surprises you with a box of Lindt chocolates! Or tickets to the cinema. Or an unplanned trip to Paris. Or a cool job offer. Unexpected opportunities can be a real gift from heaven. Of course, it's best to use good judgment; all too often something that looks promising at first sight will prove a disappointment later. I once turned down a very interesting translation job because the risk of not getting paid outweighed all possible benefits. 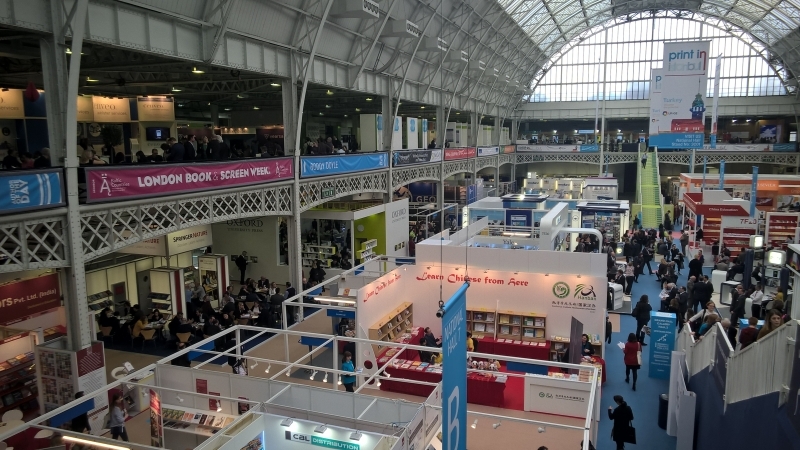 As an author, I've also learned that not every invitation to appear at a convention or meet-the-author session is worth accepting. But there's another thing about opportunities: more often than not, they don't come gift-wrapped on a plate. They have to be chased and caught. Now and then life dangles something tempting in front of you (a fish? a golden ring? a delicious portion of ice cream? ), but to win the prize, you have to take a leap. 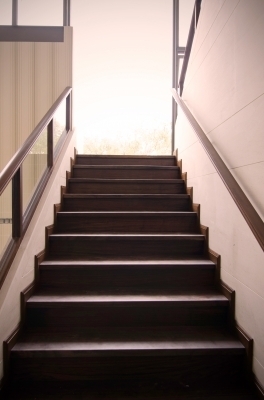 Or climb a steep staircase. Or fight your way up a rocky wall. You have to take a risk, push yourself, go out of your comfort zone. Right now, I'm leaping high to catch a gleaming little fish that dangles right out of my reach. I might miss. I might trip and fall, and make a fool of myself. But hey! At worst, I'll be able to tell myself: at least I tried. And one thing is certain; not trying at all means a 0% chance of success. Do you believe in taking leaps? Now and then, random odd events and funny anecdotes make me think „cool, I just might work this into one of my stories sometime”. My hometown, Lublin, is a city with five universities. Since some courses are offered in English, more and more foreign students are coming here to study medicine, nursing, engineering, computer science, whatever, and they mostly live in rented apartments. A friend told me an amusing story today about two students, one from the U.S., the other one from Peru, who had shared a flat for two and a half years. After graduating, they both decided to return overseas. Before moving out, they’d asked the landlord whether it would be OK for them to leave some stuff behind, because they didn’t need it anymore, and the answer was “yes, sure”. - tea, coffee, sugar, salt etc. 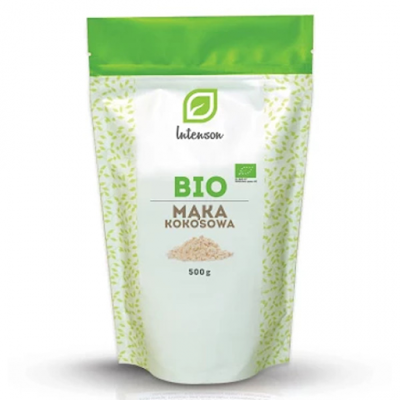 - and weirdest of all, unused packets of fairly expensive health food ingredients: coconut flour (the brand shown on the right), chestnut flour, various spices, stevia and lucuma fruit powder (courtesy of the Peruvian student, I guess). I could expect to find many things in a rented apartment after the tenants leave, but unopened packages of coconut flour, chestnut flour and lucuma fruit powder? I’m surprised there wasn’t a copy of Moste Potente Potions by Phineas Bourne lying around as well. 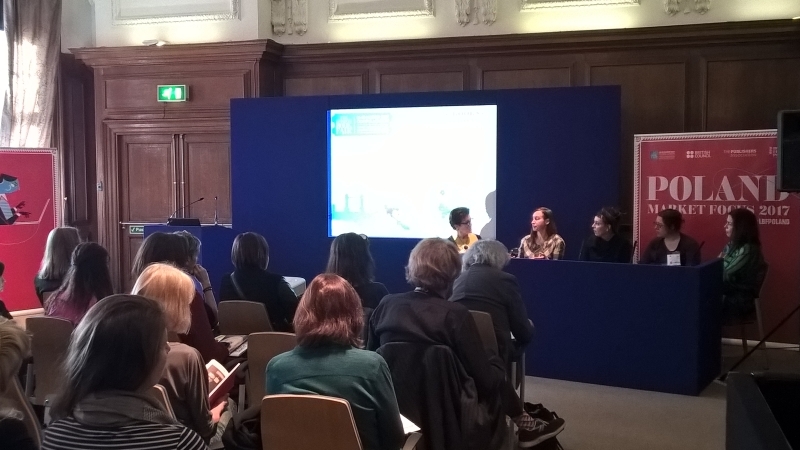 Physical beauty – do we writers perpetuate stereotypes?